The president of the Miami Dade County Police Benevolent Association made some interesting statements in response to Mayor Gimenez making deep cuts in the budget. He basically said to the community “arm yourselves, because we aren’t coming”. My opinion? Completely irresponsible thing to say. Yes, budget cuts are serious. It’s tough all around. But to cause panic and tell the criminals “have at it” is contrary to “protect and serve”. And PS if you DO get a gun, get trained, and don’t assume “Stand your ground” will work in your favor. Some say “it is better to be judged by 12 than carried by 6″….until you are doing LIFE under 10/20/Life. A better option? Join your local Crimewatch. There isn’t one, create one. Get to know your neighbors and look out for them. Most importantly from my perspective — if you are a witness to a crime, don’t look the other way! Testify, cooperate with the process. If we can put these bad folks away for a long time, there are less bad folks to victimize you and your neighbors. Ft. Hood: An Issue of Gun Control or Mental Health? This week, there was another shooting tragedy on the Ft. Hood military base. Ivan Lopez, an Iraq war veteran and Army specialist, shot three people to death, injuring sixteen, before turning the gun on himself. A military policewoman bravely confronted him, which brought his actions to an end. Unfortunately, Ft. Hood has been struck by tragedy before. 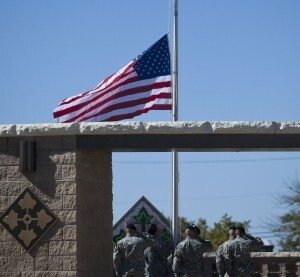 In 2009, thirteen people were shot and killed by Nidal Malik Hasan. The difference in the 2009 tragedy is that Hasan had a clear agenda. He had been self-radicalized and took a terrorist stance against the United States. He was given a life sentence for his actions. In the present shooting, the Army verified that the Lopez was being treated for depression and anxiety, as well as being evaluated for post traumatic stress disorder (PTSD). Additionally, Lopez purchased the weapon used in the shooting several days before. He lawfully held a concealed weapons permit. So the debate re-emerges. Is this another case of a mentally unstable person getting access to weapons? Are our veterans being properly treated for PTSD resulting from combat? Keep in mind, the majority of people that suffer from PTSD, or any other type of mental illness, are not violent. Some key components of PTSD involve an inability to sleep, nightmares, flashbacks, and difficulty adjusting to civilian life outside of the combat zone. It appears that the Army was in the process of evaluating Lopez, and treating him accordingly. From what is currently known, it seems that the Army was in fact working with Lopez to address his mental health issues. What is not known is Lopez’s motivation for committing this horrible crime. The question will be if there were any warning signs that the shooter’s depression was turning violent and what, if anything, could have been done about it. The answer will hopefully be uncovered in the coming weeks. The next inevitable issue is that of gun control. 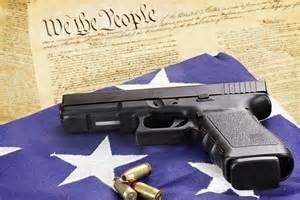 Many ask, “how could someone with mental health concerns be able to get a firearm?” This is a situation where the laws that are currently in place adequately addressed what was known at the time of purchase. When the shooter went to the gun shop, he was a current, serving member of the armed forces. He had not been officially declared to be mentally ill; there was no indication that he was suicidal or homicidal. There were no court orders against him, nor was he a convicted felon. If you look at his profile in a general sense, he is someone a gun store owner would have no hesitation in selling a firearm to. As such, he was lawfully able to purchase a firearm. What is most troubling is that there is a policy at Ft. Hood forbidding firearms on the base. It is clear that this policy has not been enforced on two separate occasions. Unfortunately, Ft. Hood is a huge area, with 90,000 people. It may be physically impossible to search every person. The military is tasked with finding a solution. At the end of the day, our vets have sacrificed so much, so that we can enjoy the liberties that we have as Americans. The biggest issue should be how can we help them? This is not a case of gun control going awry. It’s a case of human tragedy, with a reminder of how fragile the human mind can be. This is an issue of caring for our veterans and making sure that those who suffer from mental illness have access to thorough care. And that is where our focus should be. Melba Pearson is an attorney in Florida. Follow her on Twitter @ResLegalDiva. 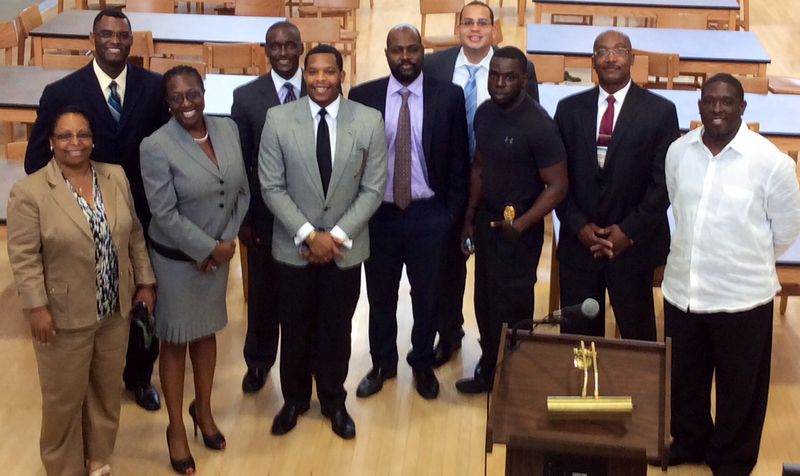 The second in a series of panels sponsored by the National Black Prosecutors Association (NBPA) aimed at educating young men of color was held at Ponce Middle School in Miami. Please click the link above for this article, showing professionals and law enforcement working together to help the young men in the community. We have three more panels coming in the next two weeks. Follow me on Twitter @ResLegalDiva, or email me directly for more information. First row L-R: Miami Central Vice Principal Lita Thompson, Melba Pearson, Ronald Dowdy, Gera Peoples, Sgts Louis and Pierre, Principal Gregory Bethune. Not pictured: Pastor Carl Johnson. This past week, the National Black Prosecutors Association (NBPA) hosted a series of panel discussions entitled “Real Talk: Lessons Learned from Trayvon Martin”. The panels were geared towards young African American men attending high school and middle school. Both Atlanta and Miami held these discussions in recognition of the two year anniversary of the shooting death of unarmed teen Trayvon Martin. Six high schools in Atlanta participated, including Benjamin Banneker, and Southwest Dekalb High. President Bruce Brown hammered home the importance of finding a positive influence. “My positive influence was my mom. One, because I was afraid of her, and two because I didn’t want to let her down.” Sgt. Greg Louis of the Miami-Dade Police Crime Suppression Team opened up about his own challenges of growing up in a tough area. His focus during his youth was on sports activities. Sgt. Louis reminded the boys that “nothing short term is going to last. Where would I be if I had let people talked me into hanging out instead of going to practice? Don’t let peer pressure get the best of you”. Kirlew, a public defender, echoed the sentiments of staying away from crime, but also told the boys “America is a very forgiving place if you are willing to change your behavior. Don’t let past mistakes hold you back”. 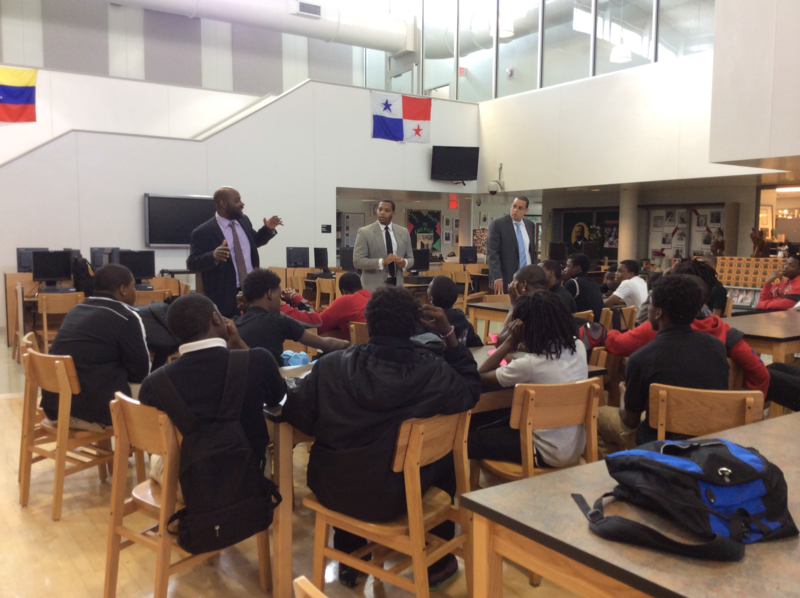 Federal prosecutor Gera Peoples took a different tactic, by informing the boys of the realities of going to prison. “Think about the consequences to your family”, he implored. Street Community Baptist Church, and Mark Lapointe, partner at the firm Boies, Schiller and Flexner, LLP. Pastor Johnson rallied the boys to action, stating “your ways determine your walk; get your personality on track, and don’t leave high school without a plan.” On the topic of violence he stated ” if you are confronted with violence, do not let someone draw you out of your personality and lead you down the path of wrong. Stand firm in who you are and walk away”. The event was an overwhelming success, and will be repeated in Miami schools throughout the next few weeks. This program is critical to bringing encouragement to young men that are often labelled and forgotten. Melba Pearson is an attorney in Florida. Follow her on Twitter at @ResLegalDiva. She is also the Southeast Regional Director for the National Black Prosecutors Association. 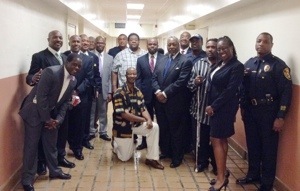 For more information about NBPA go to http://www.blackprosecutors.org.